When we were in Hong Kong, one of our managers in the audit firm I work in contacted us. We were quite surprised because we totally forgot that she got seconded there. Anyway, she told us that there is popular ramen place in Causeway Bay (which is actually where we were staying), and that it will be awesome to catch up there. 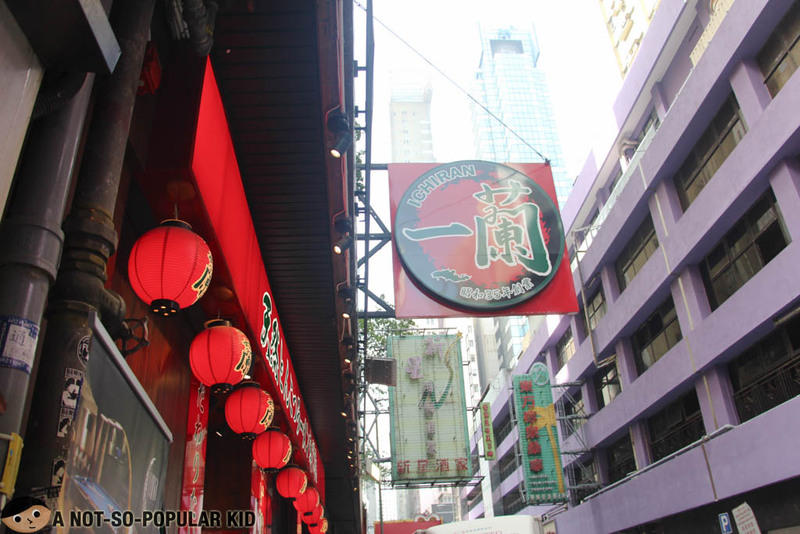 Before she ended our conversation, she noted that this is a famous ramen house (since it almost recently opened). Hence, she suggested that we arrive there early to avoid any long lines. Ichiran Ramen is very easy to locate. It's just about 4 minutes away from the station and from Yesinn, the hostel where we were staying in during our entire Hong Kong trip. 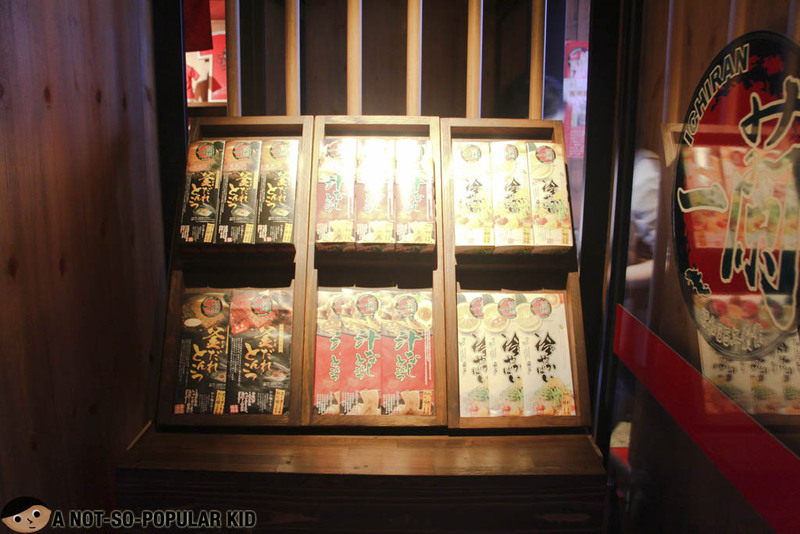 In fact, it seems like it is nestled in a street that smells like noodles. I've included a map at the end of this post just in case you'll need to navigate your way there. 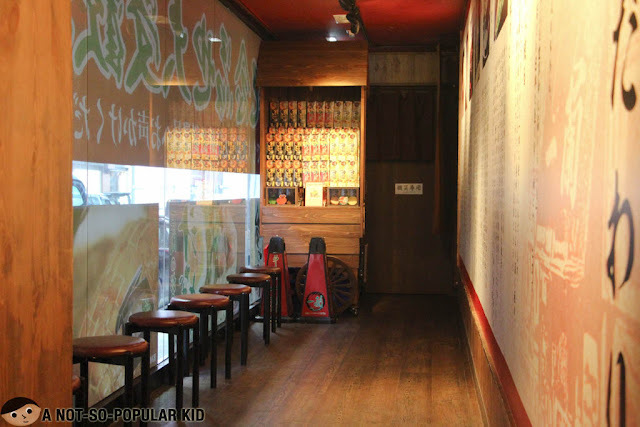 The interior of Ichiran Ramen has the spirit of authenticity. It feels like you are in Japan despite being in Hong Kong. By the time we arrived (at about 11:00 AM), there was still no queue. However, we noticed that people started lining up when the time approached 12:00 NN. 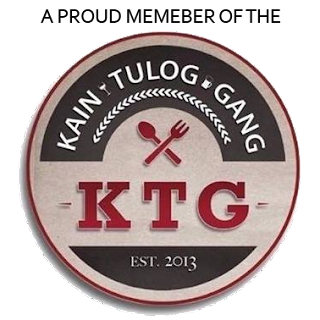 Alright, hear me out fellow foodie friends. The way it works here is different than what we are used to. Instead of having a rectangular or round table where you and your friends could dine, there are individual cubicles here where you will enjoy your ramen. In effect, it is as if you are eating solo. However, don't worry because the staff will try their best to assign seats where you sit next to your friends. At first, it may be overwhelming, but fret not because there are guides that you can read to help you understand how it works here. Upon getting seated, there will be someone who will peak from the opening. 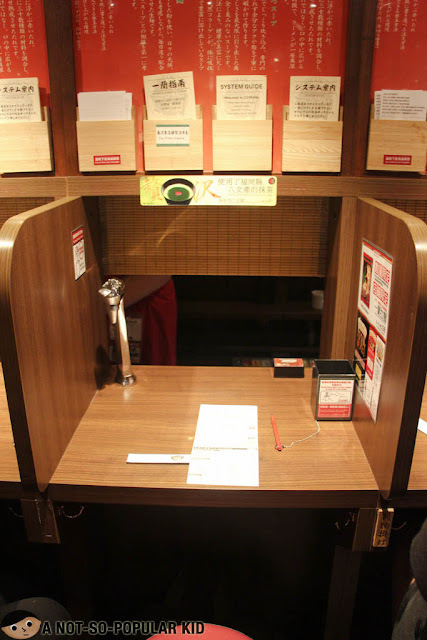 She will give you a piece of paper where you will specify what you want for your ramen. 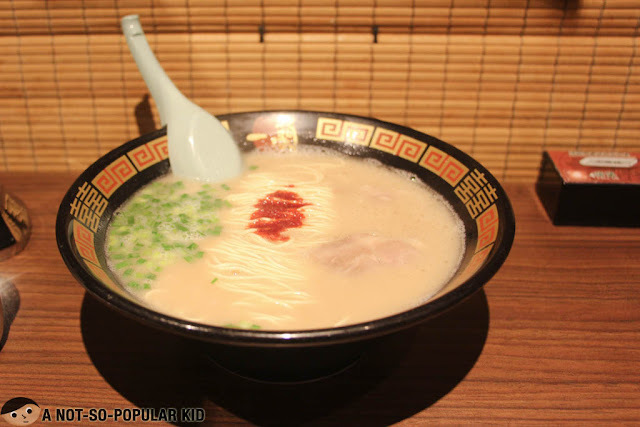 The concept is similar to that of Ramen Nagi (read more). Some items entails to more charges, so you need to choose wisely. This bowl of ramen was stunning! 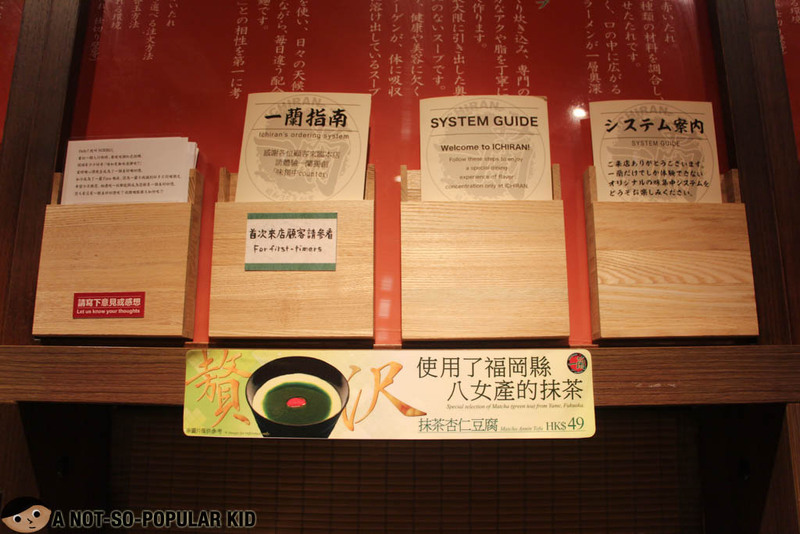 The soup was immensely refreshing with its harmonious flavors -- not too strong, just enough to tickle the buds. The noodles I chose was extra hard, just the way I wanted it to be. Combining them all resulted to a very rich experience. However, that glorious moment didn't last too long. I consumed it all up by the time I realized it. I wanted another one, but I didn't because I wanted to preserve that longing for another bowl, so that next time I try it again, the experience will be just as sweet and memorable. Now, before I end this blog post, let me just share with you this photo of me with Ms. Gab, our manager, in Ichiran Ramen. 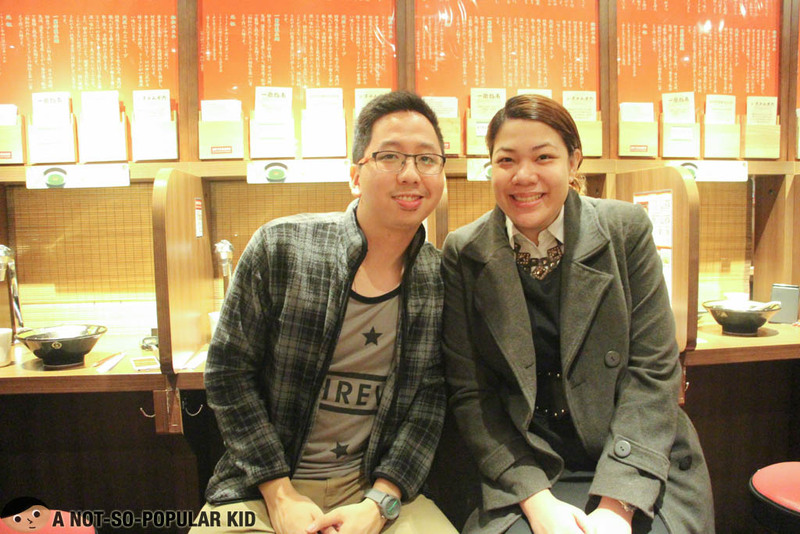 Overall, I was able to enjoy our ramen experience here in Ichiran Ramen. 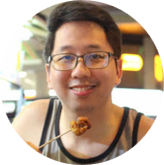 Yes, it may be a bit expensive when you come to think of it, especially that we can have a good ramen here at about P100 less. However, it was really a unique experience -- the set-up, the service and the food! 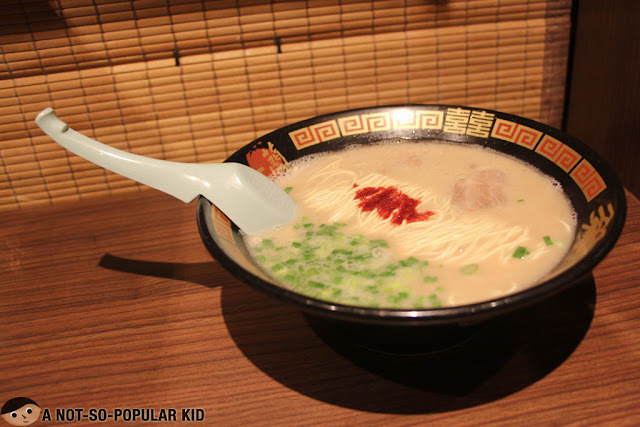 Hence, if you happen to visit Hong Kong, it will not hurt if you drop by this Japanese Ramen restaurant. I would definitely love to hear from you. Do drop a comment. I'll definitely appreciate it. Thanks!